The military is always looking for men and women of good character, health and intelligence to serve our country in the armed forces. To enlist in the military, the first step is to contact a recruiter who will interview you to determine whether they think you are a good candidate for service. If you make this first cut, you will need to take a physical exam and sit for the ASVAB (Armed Services Vocational Aptitude Battery) test. The testing tells your recruiter whether you have the skills and intelligence needed to perform well in different roles in the military, and a good score helps to give you a head start on your career path. Mometrix Academy is a completely free practice test resource provided by Mometrix Test Preparation. If you find benefit from our efforts here, check out our premium quality ASVAB study book to take your studying to the next level. Just click the ASVAB study guide link below. Your purchase also helps us make even more great, free practice questions for test-takers. The Department of Defense developed the exam as a way to determine whether military recruits have what it takes to be a member of the armed forces. Your performance in four basic areas – Arithmetic Reasoning (AR), Mathematics Knowledge (MK), Paragraph Comprehension (PC), and Word Knowledge (WK) determines whether you’ve made the grade. Your scores in the AR, MK, and Verbal Composite (VE, which is WK+PC) sections add up to the all-important “AFQT” (Armed Forces Qualifying Test) score that recruiters use to see if you are eligible to serve. Looking for a great assignment in a specialty area? Interested in a signing bonus? Once you’ve qualified to enlist by achieving a passing AFQT score, your performance on the other areas of the exam can help jump-start your military career by increasing the odds of landing the assignment you want. You should note that the exam is given only in English. This is because all of the documents you will need to reference during your military career are in English. Even if English is not your native language, you should be able to make the cut as long as you study enough. 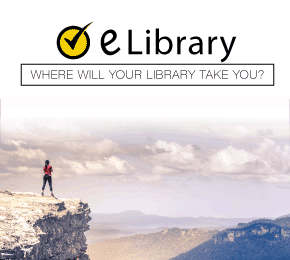 You may need to take another test, the ECL (English Comprehension Level), to make sure that you can read and follow instructions given English if it is not your native language. All questions on the test are multiple-choice. Each section has a maximum time limit for you to complete the questions in that section. The number of ASVAB test questions in each section and how easy or difficult the questions are may be different depending on whether you are taking the computerized CAT-ASVAB or the pencil and paper P&P-ASVAB. On the CAT-ASVAB, you answer one question at a time and can’t go back and change your answers once you’ve submitted them. If you answer a question correctly, you get a more difficult question, but if you are incorrect, you are given an easier question to answer. This is called “adaptive” testing. Once you finish a section you can go on to the next section at your own pace. The P&P-ASVAB gives you a set number of questions to answer and a set time limit. If you finish a section before your time runs out, you may go back and review your answers and change them if you want to. It’s better to answer all of the questions on the P&P-ASVAB – there is no penalty for guessing because only correct answers are added to make up your final score. The MK section of the test covers basic high school-level mathematics rules, terms and concepts. The CAT-ASVAB has 16 questions with a 20 minute time limit while the P&P-ASVAB has 25 questions with a 24 minute time limit to finish the section. The AR section tests your ability to put your math skills to work by solving some basic word problems. The CAT-ASVAB has 16 questions which you have 39 minutes to answer, while the P&P-ASVAB has 30 questions and gives you 36 minutes to finish the section. Identify the question you are being asked. Rewrite that question as a mathematical equation. List the information you will need to know to solve the problem. List each step you must take to solve the problem. With enough practice, you will automatically follow these steps and easily answer the word problems in this section. The PC section tests your ability to understand written information and identify key points within a paragraph of text. The CAT-ASVAB has 11 questions and gives you 22 minutes to answer them while the P&P-ASVAB has 15 questions that you have 13 minutes to finish. Remembering key details from what you just read. Picking which description best summarizes the paragraph. Choosing the best meaning for a word “as it is used” in the paragraph. Picking the most likely meaning of the paragraph that isn’t directly stated, but which you can be pretty sure of given what the paragraph said. The best way to answer questions in this section is to read each paragraph twice before you answer. First, read it quickly to get the main idea. Next, read it again, paying more attention to the details that relate to the main point. Then, read all of the questions and refer back to the paragraph to help you choose the best answer. If you take this approach, you will be more relaxed and efficient, and less likely to get thrown off the track by being nervous. The WK section tests the strength of your word knowledge by having you read a sentence and replace a word in the sentence with its synonym – a word with the same meaning as the original word. The CAT-ASVAB has 16 questions that you must answer in 8 minutes. The P&P-ASVAB has 35 questions which you must answer in 11 minutes. How good is your vocabulary? It’s never too late to brush up by using “vocabulary builders” you find on Google, reading a variety of books, manuals and magazines, and using practice tests to identify words that you’re not sure of. The WK section tests your word knowledge in several ways. First, it tests whether you can recognize correct and incorrect spellings of words. For this type of question, you may want to review words that are often spelled incorrectly, and make sure you know how to spell them. You will also need to know the definitions of words, and be able to use them in a sentence. The more you practice, the better you will be at automatically recognizing the right spelling of a word, and the easier it will be to know it’s precise meaning when it’s used in a sentence. You can take the test as a junior or senior in high school and use the score to enlist, provided that you are at least 17 years old and took the test no earlier than 2 years before you begin enlistment processing. If you are at least 17, you can take the test at a Military Processing Station (MEP) or a satellite Military Entrance Test (MET) location. There are 65 MEP joint services locations across all 52 states and in Puerto Rico. If you do not live close enough to a MEP, your recruiter will advise you to take the test at one of the MET sites which are located in many Federal government buildings, armories and Reserve stations. With multiple locations across the country to choose from, you won’t have to travel far to take this all-important first step toward a military career. The format is different depending on where you take the test. At MEP sites, the test is computer-based and is given in an adaptive format. This means that questions may get easier or harder based on your answers to previous questions. The ASVAB-CT does not allow you to review or change your answers, which some recruits may find difficult, but it has some advantages over the pencil-and-paper version given at satellite MET locations. Overall, the exam takes only about 1 ½ hours to complete, doing each section at your own pace – and you can see your scores as soon as you finish taking the test. The pencil-and-paper version takes longer (3-4 hours total time), is not adaptive, and has a time limit for each subtest. You are allowed to change your answers for each subtest before moving on to the next one, but only before the time limit is reached for that subtest. In addition, scores must be processed manually and so they are not available for a few days – although a preliminary AFQT score will be calculated and given to your recruiter once you have completed the test. The exam is not a “pass or fail” test. Your score in each area reflects your own unique abilities. 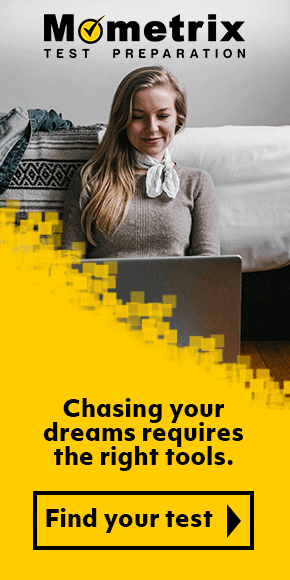 Of course, you will want to study with the aim of doing your best so that you can qualify for a job that fits your skills and career interests. Your AFQT score is compared to the scores of other recruits in the 18-23 year age bracket to see how your potential measures up. Each branch of the armed forces sets its own cut-off point (minimum AFQT score) for deciding who qualifies to enlist. The AFQT score is a percentile ranking between 1 and 99 that shows where your score is placed in relation to others. For example, if you score a 54 on the AFQT, this means that you scored as well as or better than 54% of other recruits. If you are not satisfied with your score and wish to retake the test to improve your chances at getting selected, you must wait a month before taking it again. You can retake the test as many times as you want, but after 3 attempts the waiting period jumps to 6 months. If you are a high school senior or have graduated high school, you must have an AFQT score of 36 or above to enlist. If you have a GED instead of a high school diploma, you must have an AFQT score of 65 or more to be considered. An Air Force job is an “AFSC” (Air Force Specialty Code) – To qualify, you must make the minimum score in Verbal Expression (WK + PC) and Arithmetic Reasoning (AR). The minimum AFQT score needed to enlist is 31. An Army job is an “MOS” (Military Occupational Specialty) – All specialty MOS require you to score well on one or more of the ASVAB specialty subtests. You will need a high school education and a minimum AFQT score of 32 to enlist. A few exceptions are made for recruits with a GED and an AFQT score of 50 or more. A Marine Corps job is an “MOS” (Military Occupational Specialty) – All specialty MOS require you to score well on one or more of the specialty subtests. An AFQT score of 35 or more is needed to enlist in the Navy (active duty or reserve) if you are a high school graduate. If you have a GED, you will need to score 50 or better to enlist. Navy and Coast Guard jobs are called “Ratings” (Rate for short) – Most Navy ratings require you to pass one or more specialty subtests, with a few exceptions. One exception is Master at Arms, which requires a minimum WK score of 45 and a minimum combined WK + AR score of 100. Mometrix Academy is a completely free resource provided by Mometrix Test Preparation. 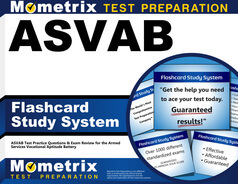 If you find benefit from our efforts here, check out our premium quality ASVAB study guide to take your studying to the next level. 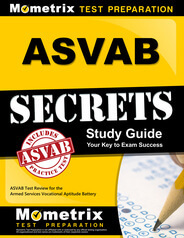 Just click the ASVAB study guide link below. Your purchase also helps us make even more great, free content for test-takers.